Hello guys, today we'll be touching a rather interesting topic, so brace yourself because we will be talking about our PERIODS! Yes, there's nothing to feel shy or awkward about. Every women goes through this and it is a large part of our lives. Some see it as a friend that visit every month, others see it as a plague and try all ways to cover it up. I'm sure all of you have been there, complained about "the time of the month" over and over again. Sulking because of how "troublesome" and "uncomfortable" it is to restrict our wardrobes just to avoid an embarrassing visible pad lines/leakage situation. The funny thing is, we go through our periods every single month, so why don't we embrace it instead? 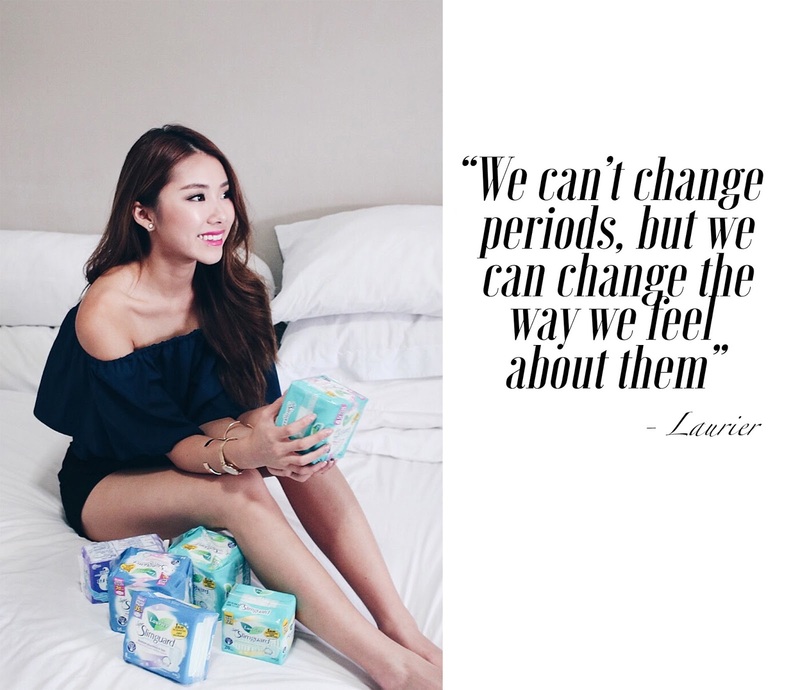 Laurier is a brand I grew up with, and I was introduced to their sanitary pads the moment I got my first period when I was 14. I've never looked back since. So imagine how elated I was to find out that I would be working with one of the brands I've been using for the past 9 years?! Not only myself, my sisters have been using their sanitary pads over these years as well and you'll be surprised at how many packets we have stocked up in our "all-girls-only" toilet. 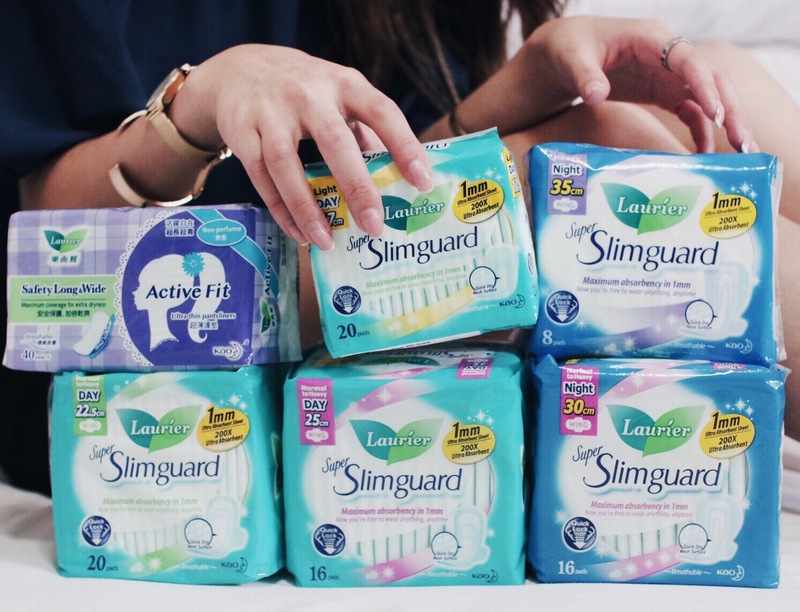 My favourite from the brand is the Laurier Super Slimguard Range, where they offer 5 different lengths of super slim sanitary pads for different uses. I love the Super Slimguard pads because they are so so thin at only 1mm, they are also super comfortable, soft and commands up to 200x absorbency rate! They make periods so much better and easier to handle because I am never bogged down by what I can, or can't wear. Leakages are also a thing of the past with these super absorbent, body hugging pads! I don't think this is a brand that requires much selling, honestly. Give it a try and you will be sold, like how I did 9 years ago. While leakages and comfort is important, the bigger problem I feel that plagues most of us is insecurity. Being on our periods make us insecure and takes away our confidence. But it doesn't have to be this way! 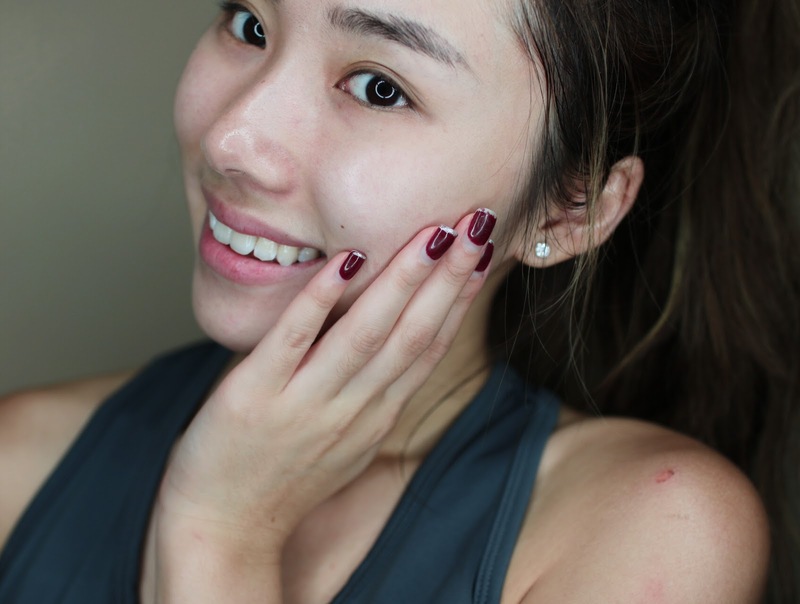 Embrace your bodies, let loose and do a crazy dance like I did, or join everyone else in Day 7's Challenge, taking selfies without any make up on because it's important to remember to love yourself and your embrace natural beauty from time to time. 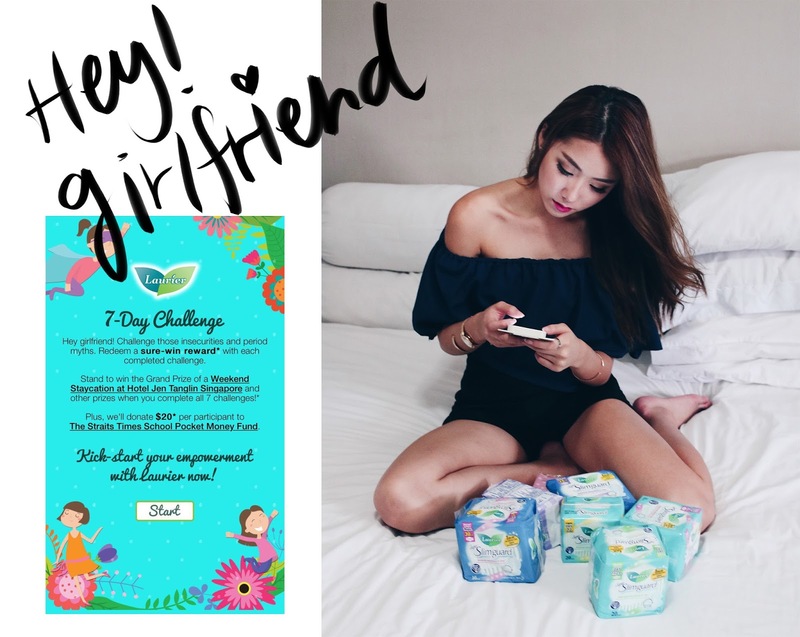 Join the Laurier 7-Day Challenge alongside me, where I’ve partnered with the amazing people behind Laurier to encourage and empower you guys to overcome your insecurities (not just during periods! ), while we DEBUNK all of the period myths you have at the same time! Not only can you redeem instant prizes for joining in the fun, you actually get to do your part by raising funds for charity. Laurier will be donating $20* for each person that successfully completes the Laurier 7-day challenge to the Straits Times School Pocket Money Fund. This is a super fun and meaningful challenge that I feel should be shared, so gather all your friends, have some fun and more importantly, I hope that this challenge can help all of you that are struggling with insecurities feel better about your own body! Here are some of my entries for the Laurier 7-Day Challenge. Don't judge me and have a good laugh! I never knew that letting loose actually feels THIS refreshing and fun. You can try it too! So here you go, a happy jumpshot that I realise I hardly do. But boy, don't I look happy! Day 6. 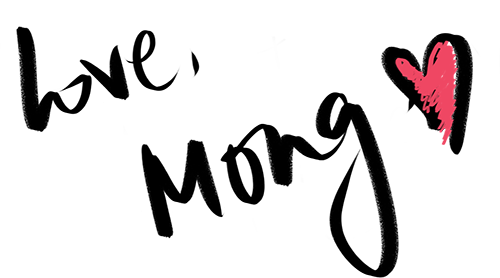 Is it true that whenever we get our period, wearing anything light colored or tight is a big no-no? Well, although it is true that some of us are more conscious about our choices of outfits when we are having our periods, it doesn't have to be the case because you can simply choose the ultra slim napkin with super absorbency like Laurier Super Slimguard. It's 1mm thickness and 200x ultra absorbency will allow you to wear anything you want, and that's how I usually go about my day wearing the outfits I want for shoots and events, even on my period! So if you ask me, YES GO FOR IT! Day 7. Embrace your natural beauty. Let it shine through and share your no make up selfie with us! I know many of us, including myself are not born with perfect skin, but what's most important is that we are not afraid to work hard at it, and show it. The bigger the selfie, the more imperfections and the more perfect it is! Now what else is stopping you from being empowered! Check out the Laurier 7-Day Challenge page to find out more, and don't forget to follow Laurier SG on their Facebook page for more updates and fun stuff coming up! This post is brought to you by Laurier Singapore.